Thank you for giving Marathon Roofing the opportunity to serve your roofing needs. Serving the Dallas/Forth Worth Metroplex, we utilize the latest in roofing technology to bring a great product coupled with outstanding service. The staff at Marathon Roofing have years of experience and believe in giving professional service to every client. 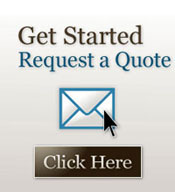 We are experts at handling insurance claims for our clients. We believe in a quality product, guaranteed craftsmanship and great customer service at an honest price. We want you to be a customer for life. We pride ourselves on exceeding expectations and leading the industry in total roofing service. Please contact us today for a free evaluation of your situation! One Source A comprehensive approach means that our number is the only one you need to call no matter what the roofing need. We’re confident you will find working with us a pleasure, from the streamlined approach that comes from an all-in-one supplier to our attentive, professional and friendly customer service we aim to give our customers and clients the very best roofing experience available.